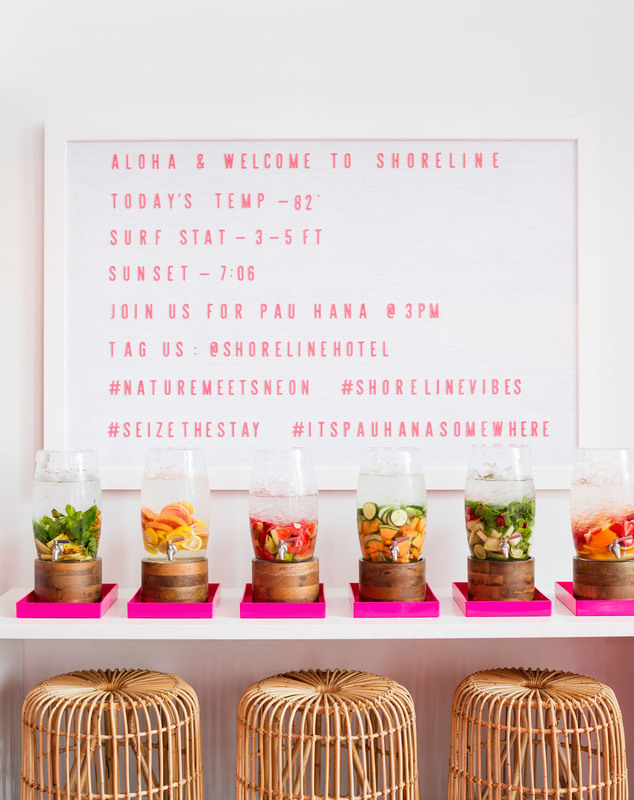 Get your swimsuit and sunscreen ready — we have a feeling you’ll want to pack your bag for the beach after this post! 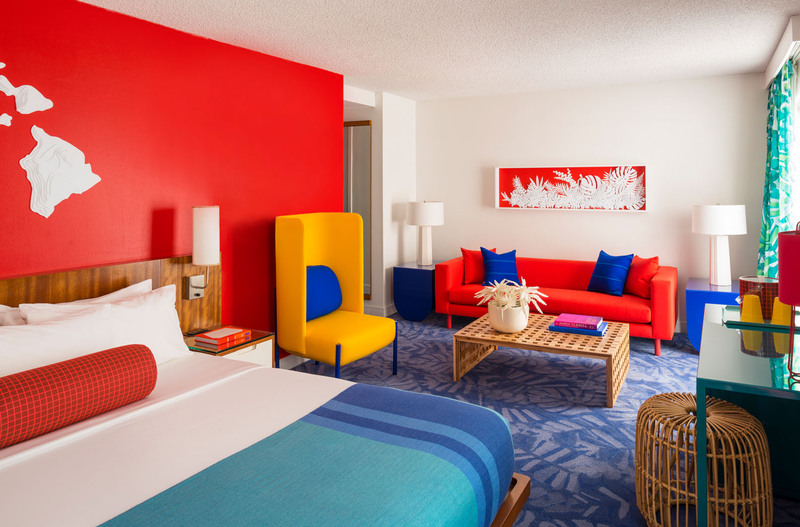 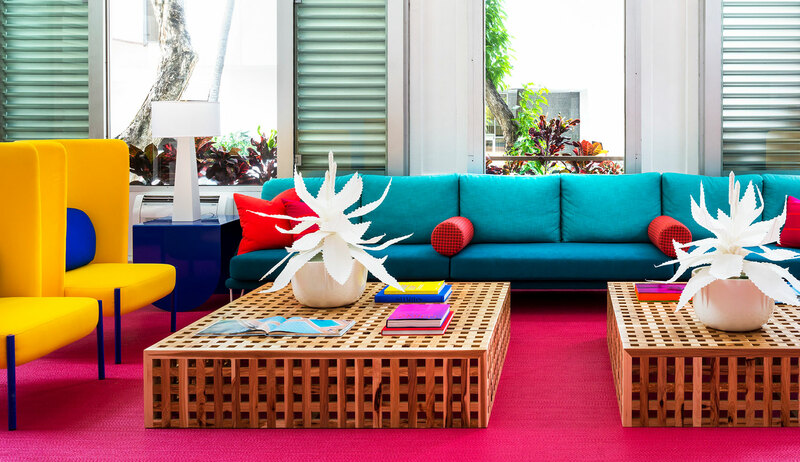 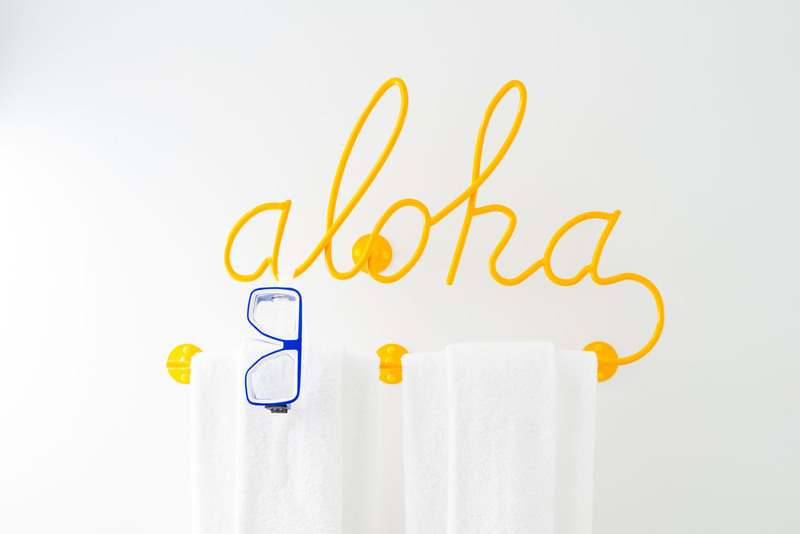 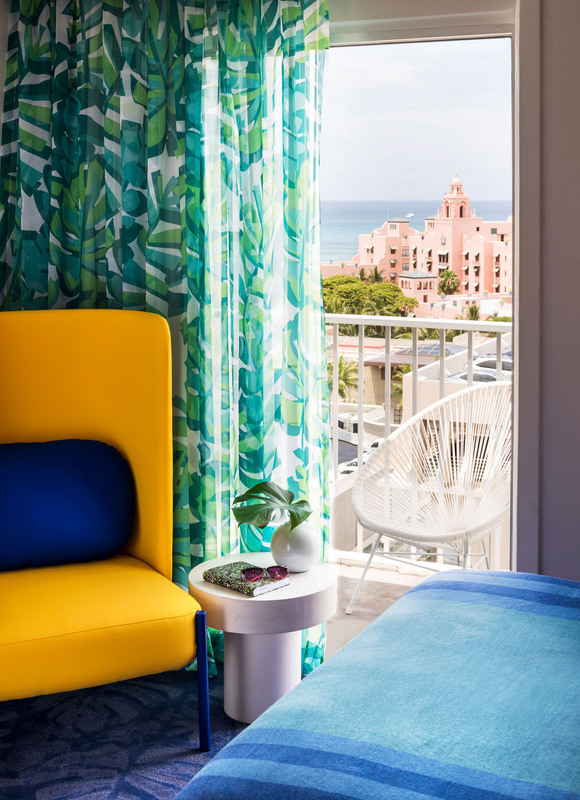 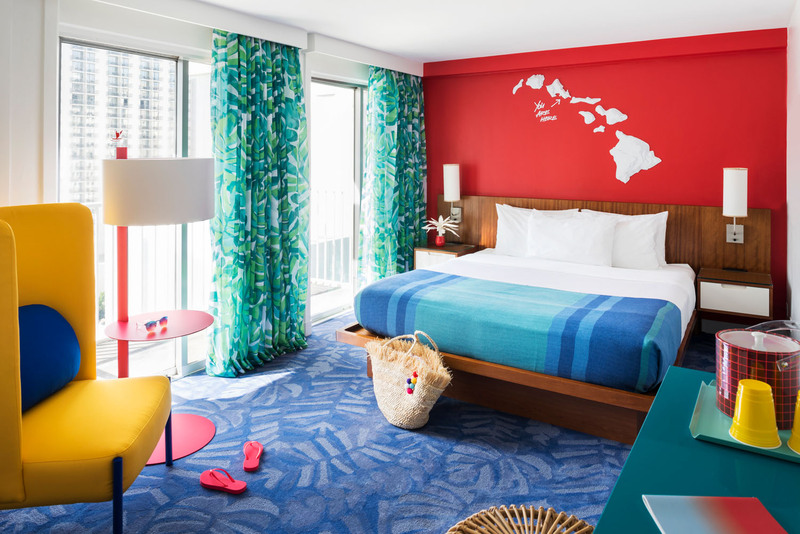 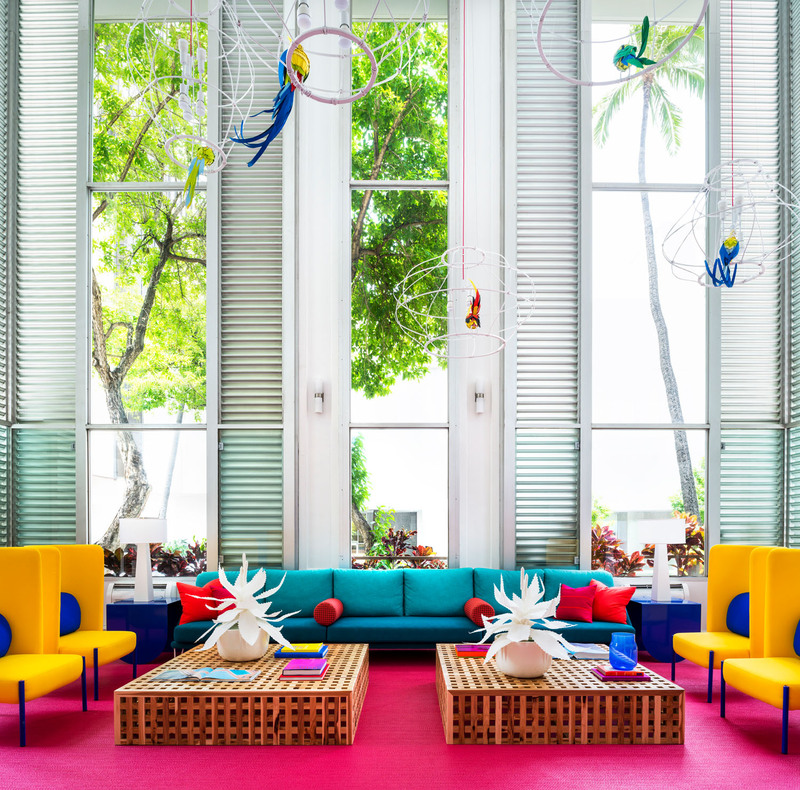 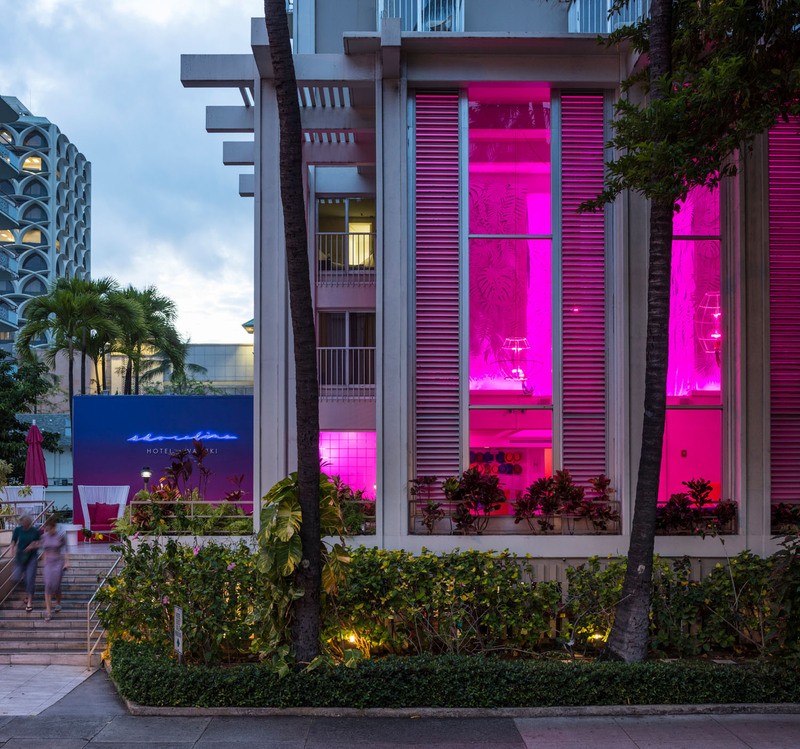 The Shoreline Waikiki, Honolulu’s premiere boutique hotel, has just undergone a colorful transformation with design-forward furnishings and Hawaiian details galore. 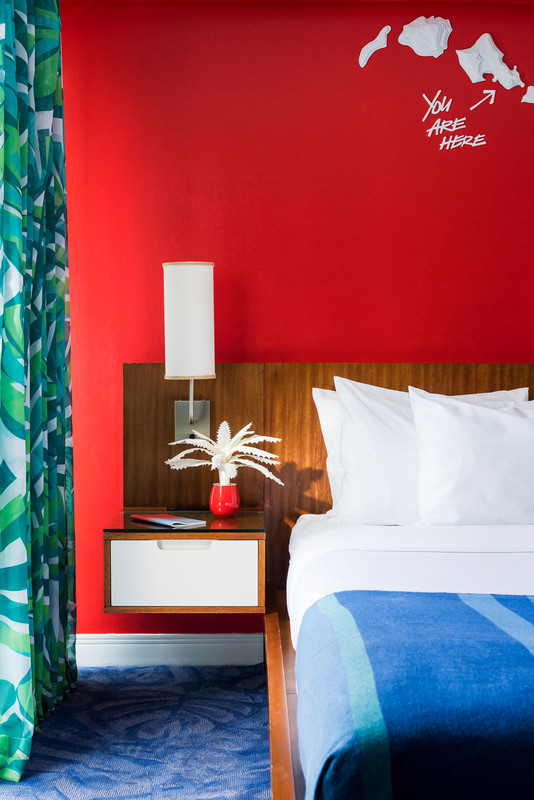 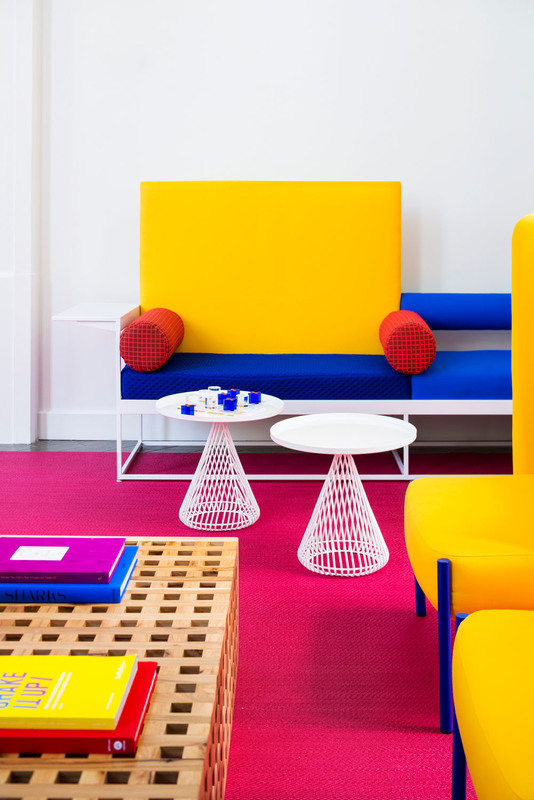 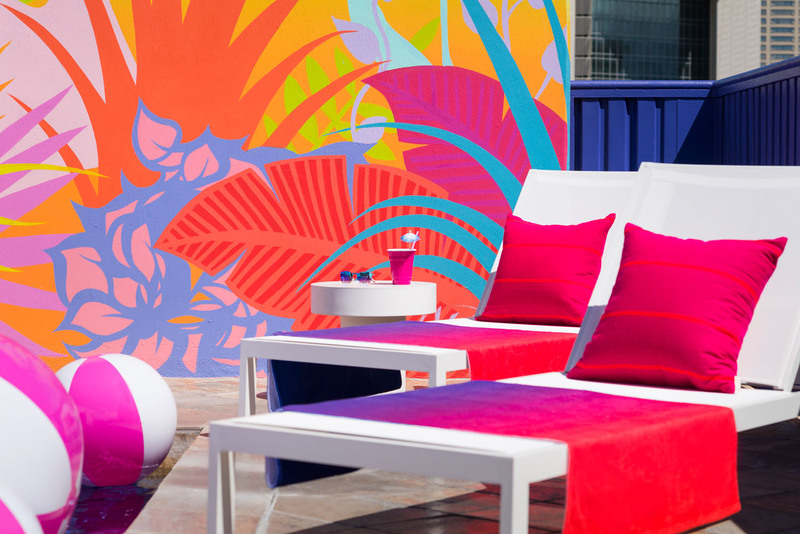 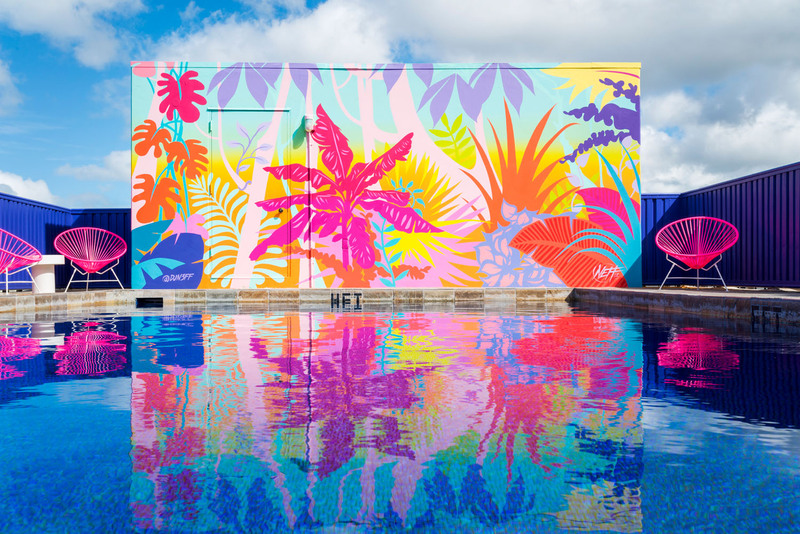 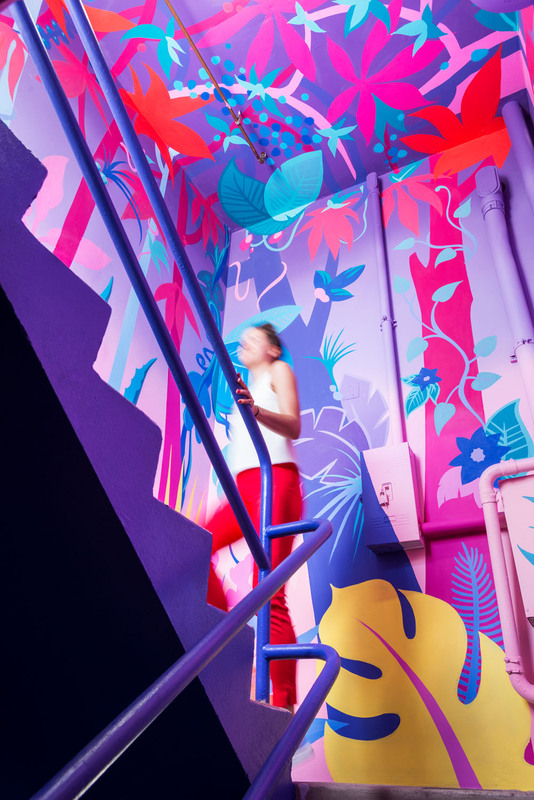 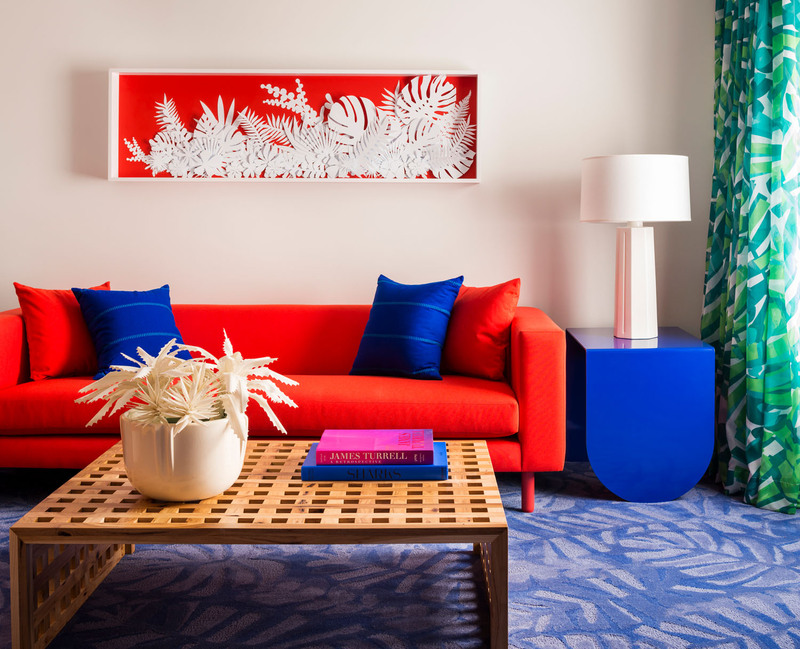 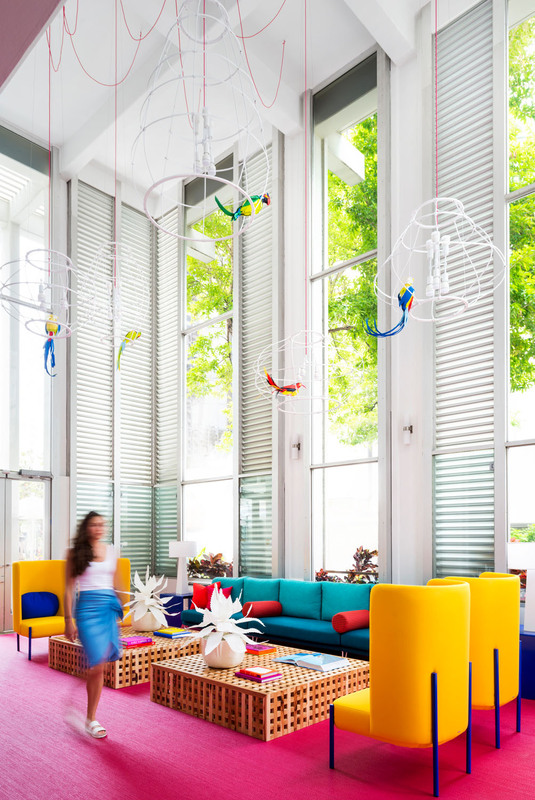 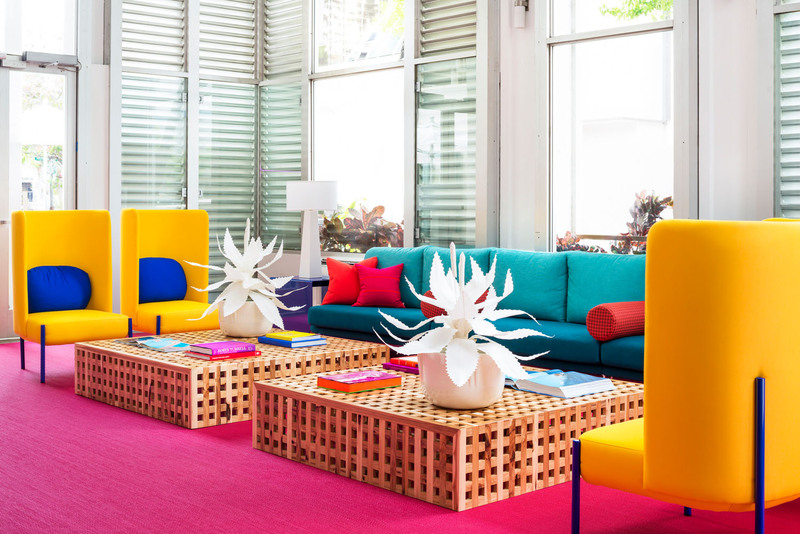 Upon arrival, guests first see a colorful ombré signature wall painted by artist ​DJ Neff​. 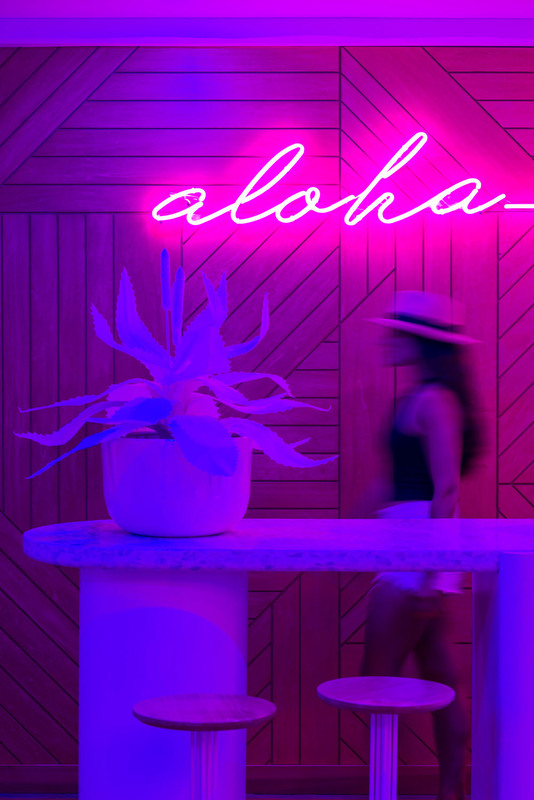 The concierge desk greets you with a neon “Aloha” while tropical jungle walls and rattan cage light fixtures housing paper bird sculptures of species native to Hawaii adorn the lobby. 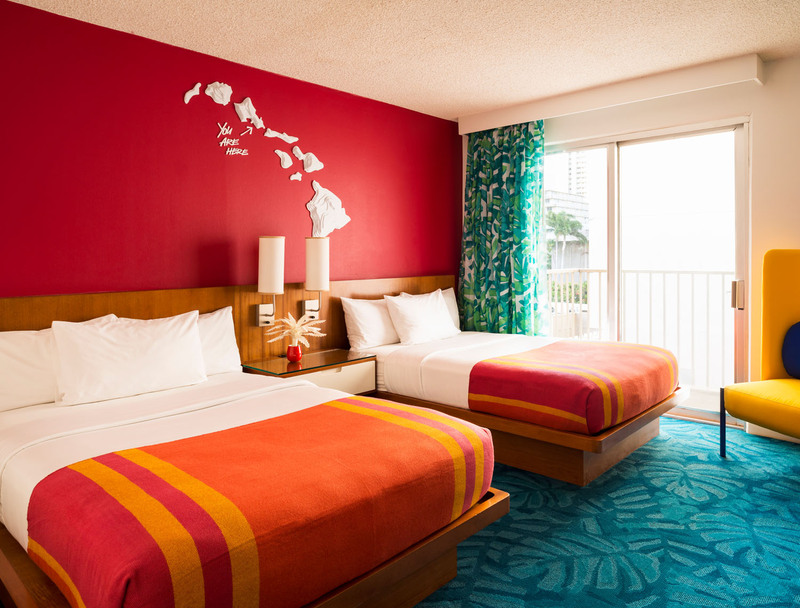 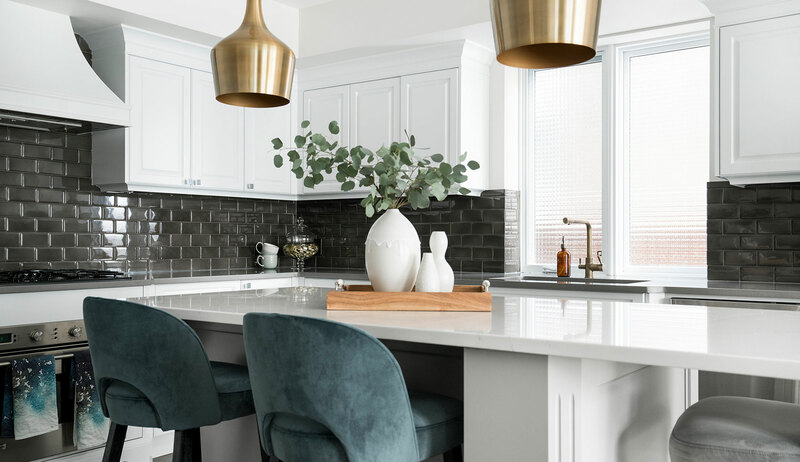 As for the rooms, each one features custom carpet, bedding, drapery, and furnishings, along with a “you are here” topographic map of the Hawaiian islands hanging over beds. 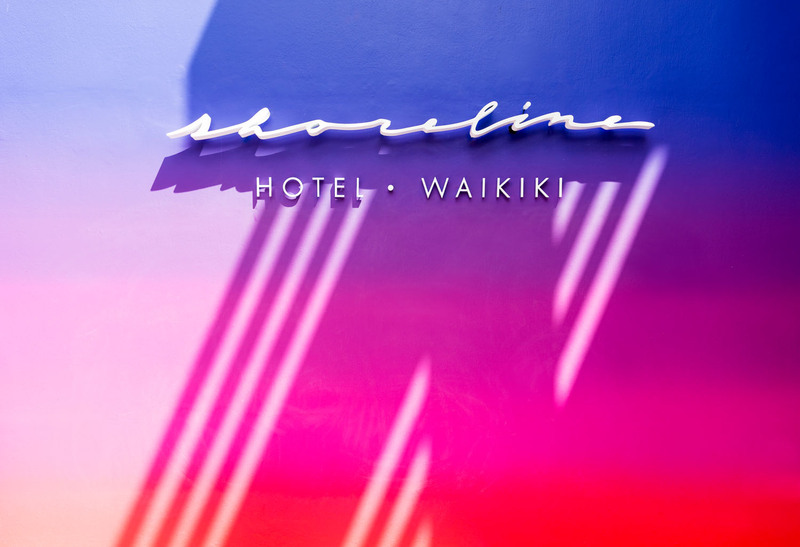 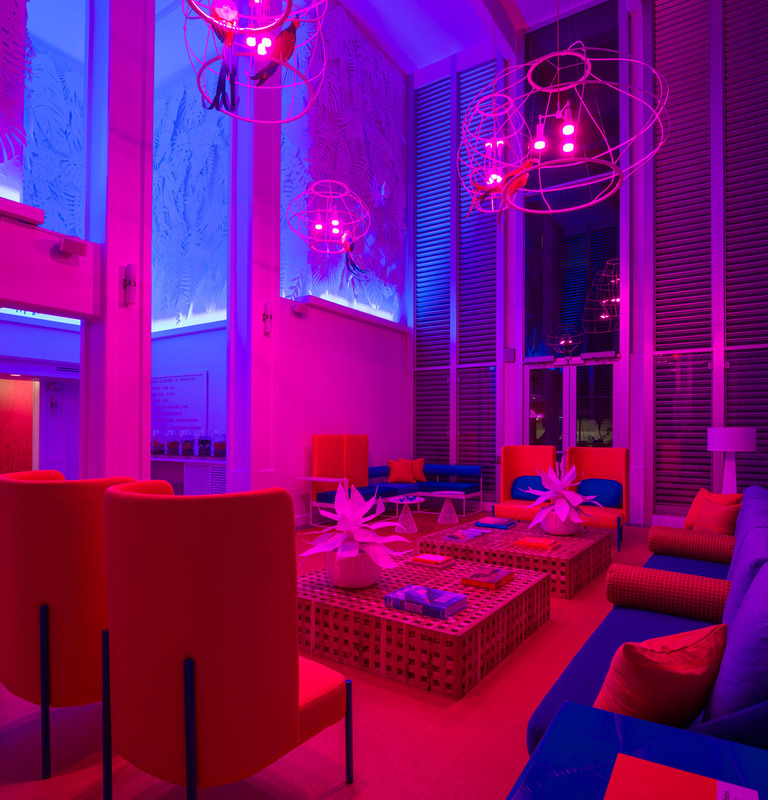 And upstairs, a rooftop pool boasts sweeping views of Waikiki alongside one-of-a-kind neon wall murals painted by DJ Neff and vibrant mood lighting for a major Instagram moment.